Russian banker suspected of embezzling over $57 million put on wanted list | Russian Legal Information Agency (RAPSI). MOSCOW, April 10 (RAPSI) – Oleg Shigayev, former president of Baltiyskiy Bank, suspected of embezzling over 3 billion rubles (over $57 million) has been put on the wanted list, Investigative Committee spokesperson Vladimir Markin said on Friday. Shigayev is accused of abusing his position to take the money out of the bank and transfer them in June through August 2014 to companies under his control, Markin said. 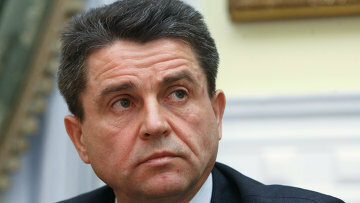 Shigayev has been charged in absentia with fraud and money laundering. An investigation is underway, according to Markin. Baltiyskiy Bank is one of Russia’s oldest commercial banks. It was established in 1989 and has branches in 30 cities over the country. In October 2014, Alfa Bank, Russia’s largest private bank in terms of total assets, equity, customer accounts and loan portfolio, bought an 88 percent stake in Baltiyskiy Bank. 14:37 10/04/2015 Oleg Shigayev, former president of Baltiyskiy Bank, suspected of embezzling over 3 billion rubles (over $57 million) has been put on the wanted list.